Bernie Sanders releases transcripts of his Wall Street speeches. Heh. 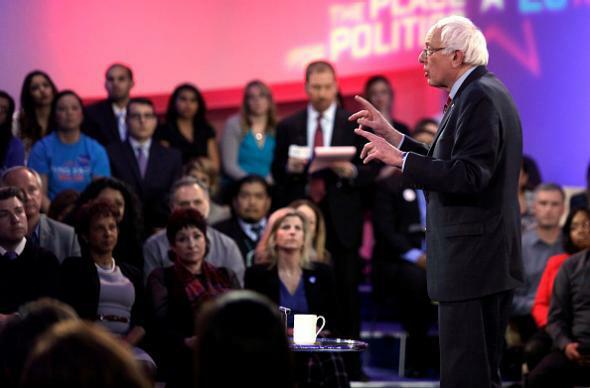 Bernie Sanders at Thursday’s televised town hall event in Las Vegas. CLINTON: Well, let me say this. I’m happy to release anything I have when everybody else does the same, because every other candidate in this race has given speeches to private groups, including Senator Sanders. Heh heh heh. Not bad, Sanders campaign.